Right now another device is ready to run the first stable version of CM 10.1 M series from CyanogenMod. 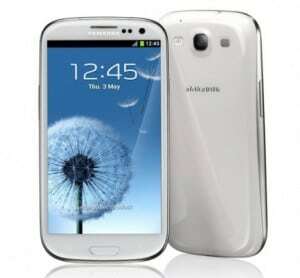 I’m talking about Cricket Galaxy S3, which is one of Samsung’s best selling devices. The phone is running Android 4.1.2 officially as the latest version, but with CM 10.1 it can be updated to Android 4.2.1. The CyanogenMod Team was recently developing CM 10.1 nightly for Cricket Galaxy S3 SCH-R530, and now it has launched their first stable version for Cricket Galaxy S3 SCH-R530, CM 10.1 M-Series. Luckily, Cricket Galaxy S3 SCH-R530 is one of the devices that can get the stable build. CM 10.1 M-series for Cricket Galaxy S3 SCH-R530 is based on Android 4.2 Jelly Bean. For the installation we will use cm-10.1-20130121-EXPERIMENTAL-d2cri-M1.zip which is a zip file and CWM Recovery. Important!! Installing CM 10.1 M Series (cm-10.1-20130121-EXPERIMENTAL-d2cri-M1.zip) on Cricket Galaxy S3 SCH-R530 means you are installing a Custom ROM on your device. Here is a list with the risks involving the installation of custom ROMs on your Cricket Galaxy S3 SCH-R530. Congratulations! Now you should have CM 10.1 M Series installed on your Cricket Galaxy S3 SCH-R530.